Michael The Stephen Hawking default voice! Michelle Michelle sounds weirdly like the woman's voice from the computer game Portal. A bit robotic for me. Anna A laid-back, American drawl, but the only voice which sounds like a real person. 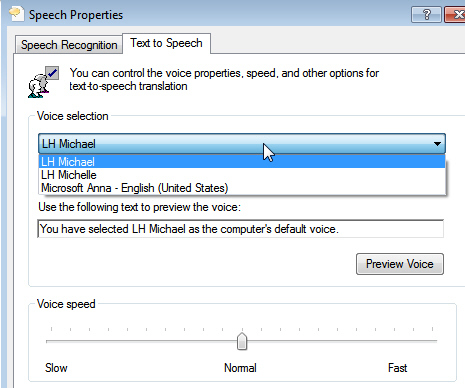 You can also change the default speed at which each voice speaks, from slurred Slow to Pinky-and-Perky Fast. 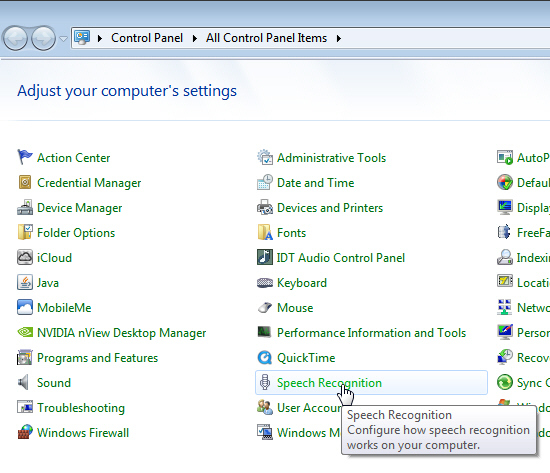 In your control panel, select Speech Recognition. Here I've gone for Michael at Normal speed (the default).